Have you ever see the process Windows Audio Device Graph Isolation while you working on Windows task manager. You might have. You must have seen that Windows Audio Device Graph Isolation is taking a lot of CPU memory or Hard Disk resource. The serious problem right? What is it? How to fix it? I have the answers to all your questions. But First, you have clear your concept before diving in the process. Why Does AudioDG.exe Consume So Many CPU Resources? Can I Disable It? 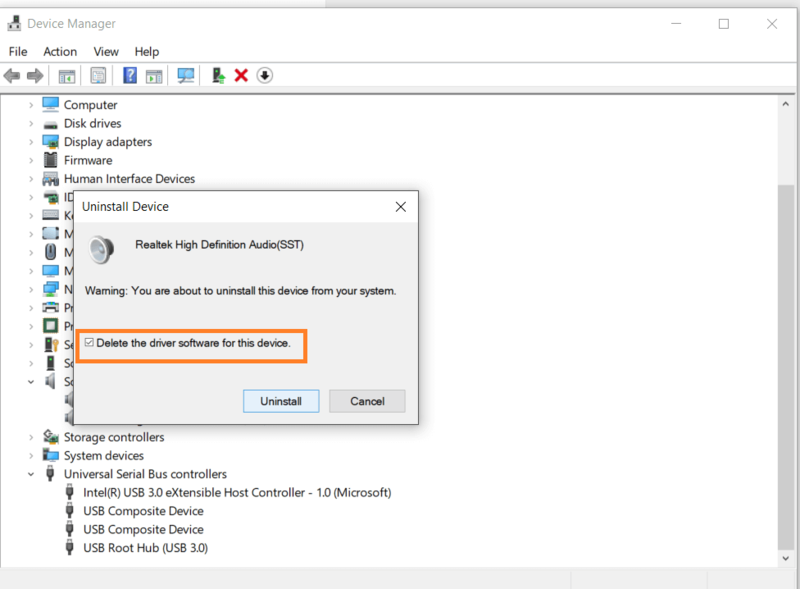 HOW TO FIX WINDOWS AUDIO DEVICE GRAPH ISOLATION PROCESS TO CONSUME HIGH CPU? Windows uses the process Windows Audio Device Graph Isolation as its main component of Windows audio engine. It helps Windows in sound enhancement process. 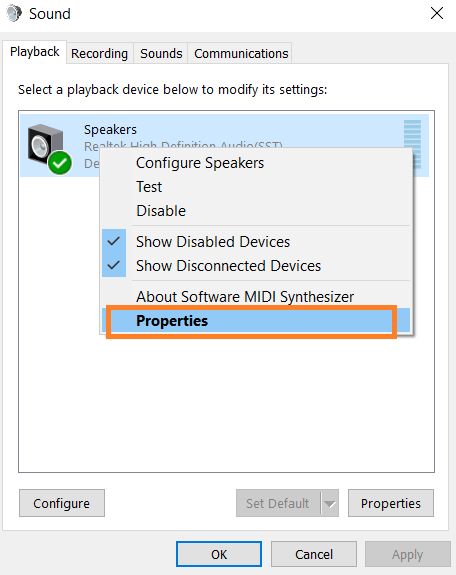 Windows Driver Developer uses Windows Audio Device Graph Isolation to insert their Audio effect to enhance the sound quality. For example, HP use Beats audio and Dell uses WAVE MAXX audio. Notwithstanding many Windows users have to face the windows audio device graph isolation high CPU issue. It’s consuming too much CPU resources. That’s why we need to fix audiodg.exe windows audio device graph isolation. Although the possibility of the process could be the virus is very less. But the chance is very high that, the virus or malware infected AudioDG.exe. To ensure it’s not a virus. Then you have to check windows audio device graph isolation location. It is saved in “C:\Windows\System32” by default as AudioDG.exe. 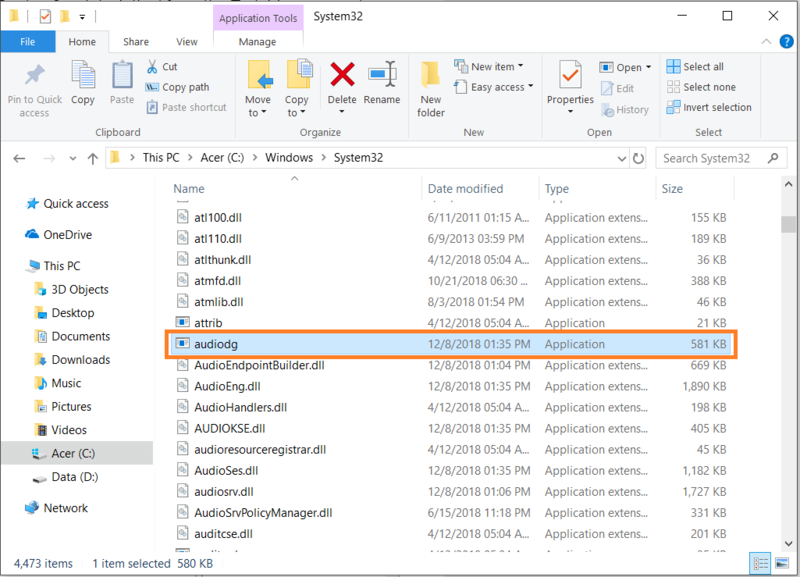 Open the file location of AudioDG.exe by Right-click on the process “windows audio device graph isolation” in Windows Task Manager. If you found the file stored in its default location, Then it’s not a virus. 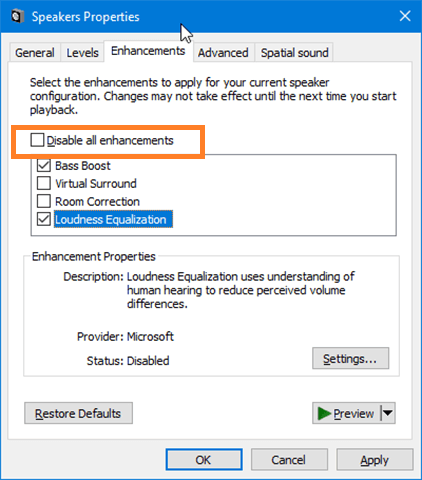 There many reasons by which Windows Audio Device Graph Isolation can stop working properly. Sometimes it happens due to the wrong Audio driver. The result is this process causes high CPU resource usage or No sound. So can I disable it? To be honest this will be a bad idea. You can do this, but the main reason is that Windows Audio Device Graph Isolation is the vital process of Windows Sound system. So without it, you can’t able to listen any sound from your Window PC. 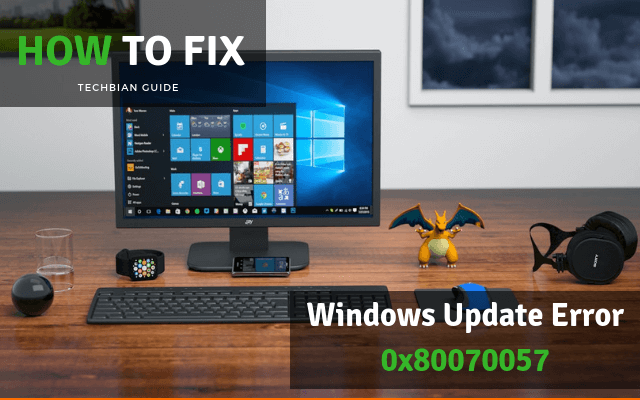 In this guide, I will provide you best working methods to fix windows audio device graph isolation high CPU error without disabling or delete. Here the best four ways to fix. Let’s follow one by one. Right-click on the speaker icon at bottom right corner in Windows taskbar and select Playback devices. In playback, tab click on speaker icon with a green tick. And goto properties. In this window Go to “Enhancements” tab. And tick on the checkbox to disable all sound effect. 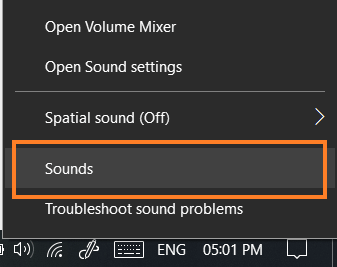 If you don’t find “Disable all sound effects” option, then go back to the Sound dialog box and select sound options like Microphone. Now try to disable the sound effects. In this method try to update or reinstall the audio driver. So you need to open the device manager. 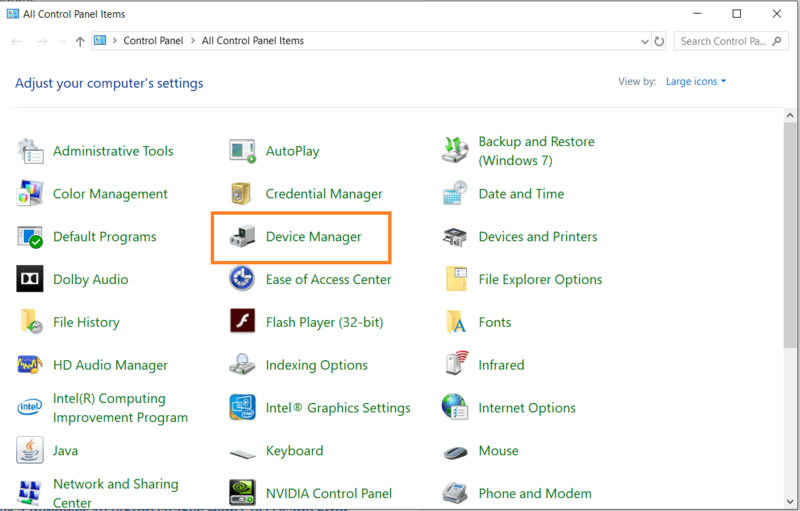 Go to control panel and open device manager. Or press Windows + R key at same time to open Run and type devmgmt.msc. This will open Device Manager. 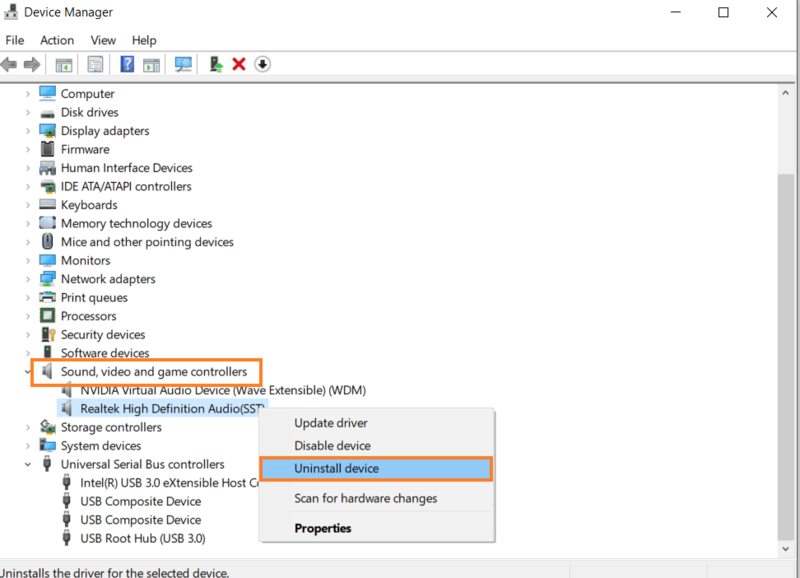 Click on “Sound, video and game controllers” in device manager. Right click on a sound card and then click on properties. 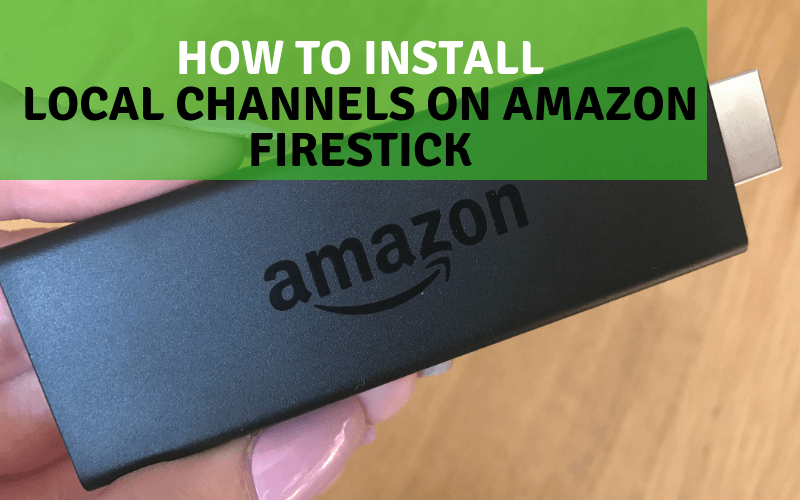 Click on the Uninstall Driver button. A dialog box will ask you to confirm the action. Check the option Delete the driver software for this device. Click on OK. Wait to finish it. Then restart your computer. 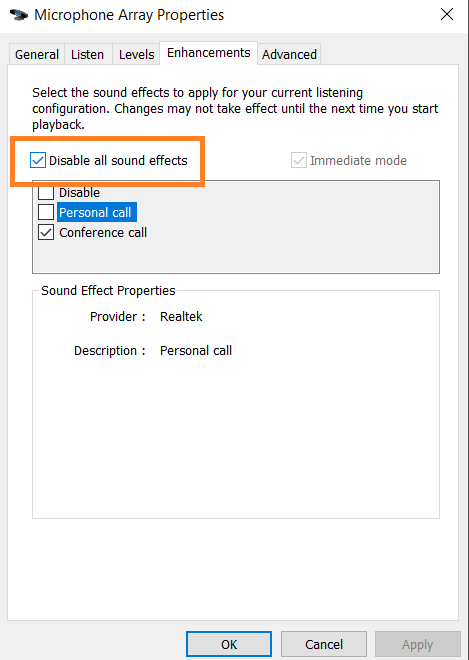 Sometimes answering or calling on Skype might be the reason of Windows Audio Device Graph Isolation to use 100% disk. This will happen when you using Skype app. To resolve it. 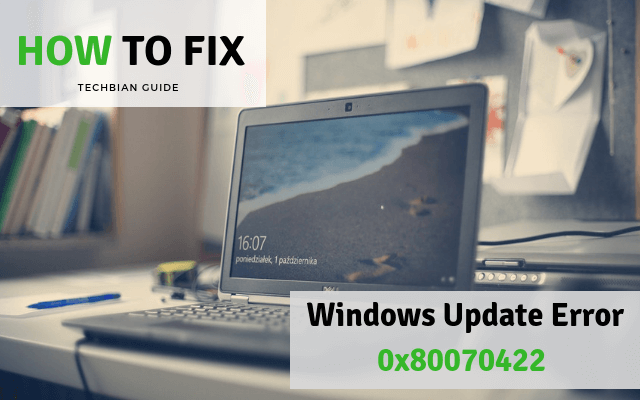 You need to reinstall it with the updated version in your Windows 10 PC. Hopefully, this will solve your problem. Microsoft Safety Scanner is a great official to remove viruses, spyware, and other malicious software from a windows computer. Here I want to recommend that, download Microsoft Safety Scanner and perform full computer scan. This is a totally free tool from Microsoft. And the main good thing about Microsoft Safety Scanner is that. It works fine with your already installed antivirus programs. 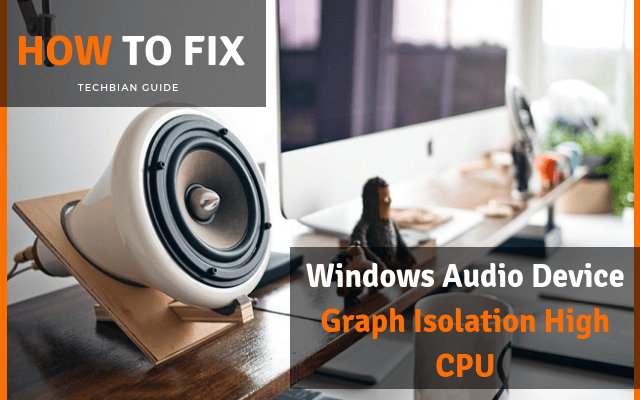 I hope you this guide solve WINDOWS AUDIO DEVICE GRAPH ISOLATION PROCESS error. If you face any problem you can tell in a comment. If you like this guide then please share it on social media channels. 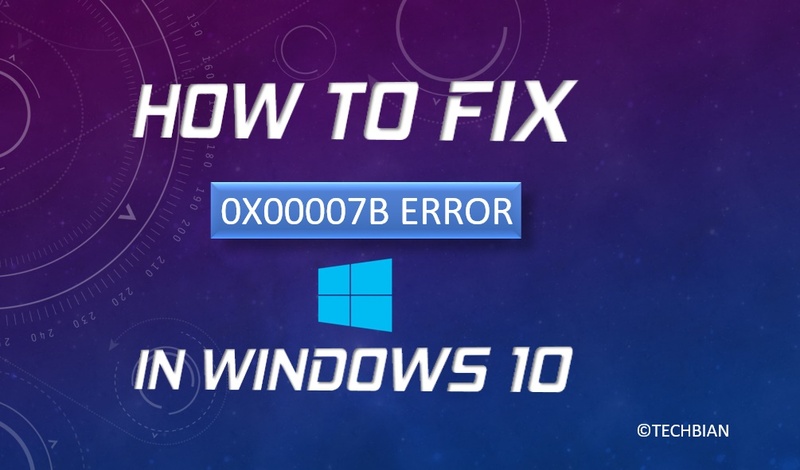 Keep visiting amazing helpful guide like how to fix How To Fix 0xc00007b Error In Windows 10 Easily.